Royal Bank of Scotland (RBS) said on Wednesday that Alison Rose is to become the deputy CEO and a director of NatWest Holdings (NWH), the bank’s ring fenced holding company. Analysts said the move marks out Rose as the leading internal candidate to succeed RBS group chief executive Ross McEwan. 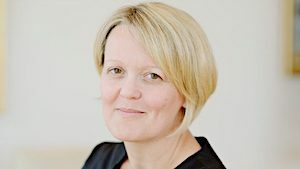 McEwan said: “Alison has been doing a fantastic job leading our commercial and private banking division and cementing our position as the UK’s biggest and best bank for business. RBS added: “In her new role, Alison will deputise for Ross McEwan both internally and externally, as appropriate, including at NWH ExCo. “She will also lead on key strategic projects. “This appointment will support the board’s oversight of the bank’s ring fenced business. “Alison will be taking up the post in addition to her existing role as CEO of CPB.